If you had been reading my blog, you would have thought that this was the perfect chance for me to switch to a mechanical keyboard. After giving it comprehensive thought, I gave up that idea. The biggest reason for not getting a mechanical keyboard was the noise that their key switches made. The noise would wake up others in my small apartment and I won't be able to play games if that happens. Yes, I play games when everyone is sound asleep, and that's the early morning. What good is getting a keyboard optimized for gaming if I can't play games at all? The layout was important because I wanted a long Spacebar and an L shaped proper Enter key. Most of the keyboards sold in Japan have the Japanese layout which adds extra 3 buttons around the Spacebar, making it shorter and harder to press. Furthermore, most keyboards nowadays, regardless of the key layout, have an almost square shaped Enter key and I miss-hit the Enter key more often than not with such keyboards. The G15 didn't have both of these issues, so I didn't want the new keyboard to be any different in that regard. I initially thought of getting one that had a PS/2 port because then there won't be any conflicts between the mouse and the keyboard, but finally decided against it because I would not be able to plug it to the tablet or the MBA in case I wanted to troubleshoot something. There are of course keyboards that support both ports but they are expensive and I didn't want to pay that much for just the PS/2 port. The layout was more important anyways and there weren't many keyboards that satisfied the layout requirement, while asking a reasonable premium for the PS/2 connectivity. Once I fixed the layout requirements, then came the price. Since I wasn't going for a mechanical keyboard - at least not while I'm in Japan unfortunately - and I wouldn't really need the macro keys, there wasn't any special feature that was worth paying for. 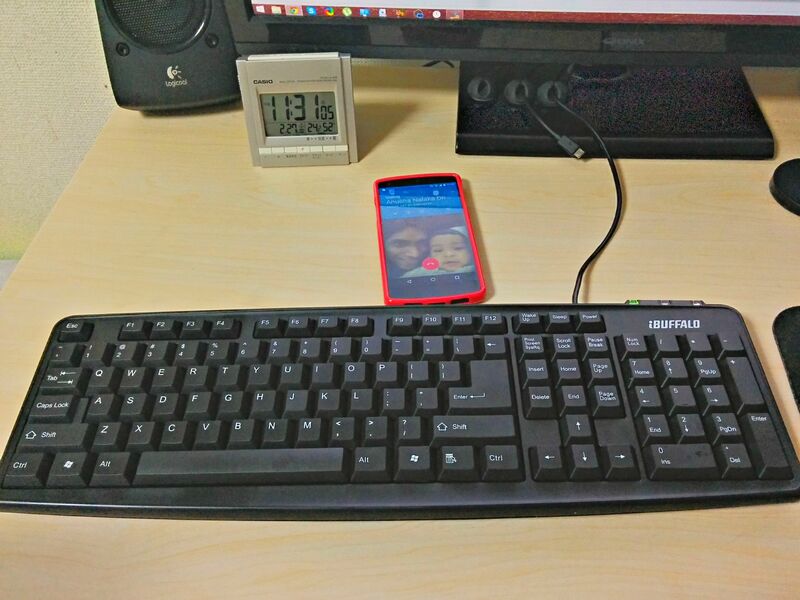 And most probably I would leave this keyboard behind when I leave Japan, the day of which is getting closer and closer because the baby is growing. He will not go to kindergarten in Japan. I have no plan to teach him Japanese, as that would only make as split apart as we won't know how to communicate with him - especially my wife - if he started talking in Japanese. So, I will most probably come back to Sri Lanka within a couple of years. After that we will have more space and I can switch to a mechanical keyboard, which might be bought from here when I return. So, a cheap, USB connectible keyboard with membrane keys, having a long Spacebar and a proper Enter key, that can also be thrown away with no regrets was my final criteria. Disappointed? I'm sure you are. Yes, I managed to find one such keyboard. Curious about what I bought? Seriously, don’t hate me now. I’ll probably take a look at eBay listing for the G15 control circuit to see if I can revive it. Until then, this will do.